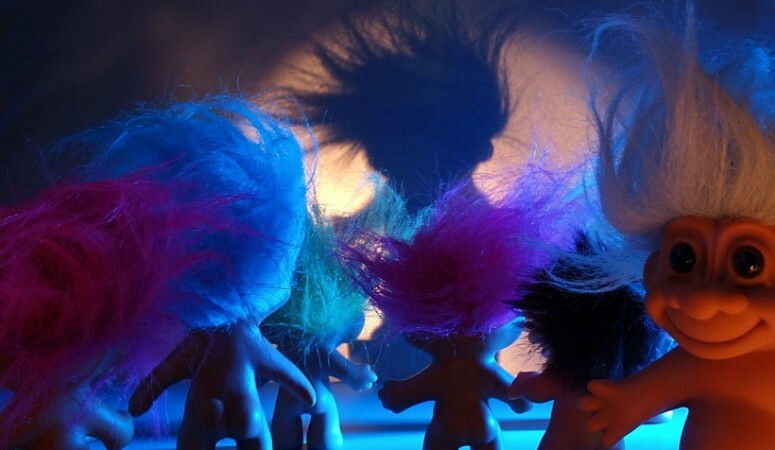 Trolls and trolling are not just for caves and bridges anymore. Trolls of Scandinavian folklore and fairy tales of old have often been depicted as creatures that are not quite human, dim-witted and usually dangerous to those they encounter. Trolls can be grotesque in appearance and often pose some obstacle or threat to those they encounter. So, in this quick post I want to discuss those real life trolls we encounter everyday. You know… the ones at work, live in the neighborhood, comment on your Facebook posts, jump on your “scopes” or dare I say it…greet you in church every week. Trolls and trolling are hot social media terms that define people or brands who follow posts leaving negative or sarcastic comments. For some trolls this negative interaction is just for fun while others have derisive intent at the core of their engagement. Regardless of intent, snarky word bites injected into a person’s feed, tweeted in a chat or scrolling along side someone’s Periscope stream can have a subtle insidious effect. Negative comments can detract from our perceived value. By giving a platform to these words in our minds we allow the diminishing of our gifts. We begin to question the importance of what we do, who we are and God’s purpose for our lives. Once these trolls get us to question the value of who we are and what we provide to our personal community they move on to creating handicaps. We begin to think about why something won’t work. These mind monsters make us think about why we are at a disadvantage and we start to compare ourselves to others. Why… because there is strength in numbers. And let’s face it…their destructive agenda will start to be just as important as your constructive vision. Dark thoughts connect with other dark thoughts and as their numbers increase they steal strength on intellectual, emotional and spiritual levels. Before you even realize it…you’ve lost your voice. The causes you’ve championed, the dreams you have forecasted and promises you have given to those who trust you have all been abandoned. Your great expectations can slip away. Now you’re left feeling powerless with out control over what is happening. Their end game is just that…The End. Mind trolls, negative thoughts, destructive words and labels will simply not relent until they kill your dream. Realize that your business, ministry, product or service has the capacity to affect others in powerful ways. This is why it is vitally important to protect your mind from their impact. So keep on blocking, “un-friending” and disconnecting with those dim-witted, ugly trolls because they clearly don’t understand who you are in this moment. Tiffany yes!!! You have to take your power back! It’s so crucial when your focused on your purpose or making a major transition in your life. Block that negativity!